THANK YOU SO MUCH FOR 2,000 READS!!! To say thank you, I’ve got a little giveaway going on. Be sure to follow the entire time it’s live, because I’ll be adding opportunities to earn entries every couple of days! 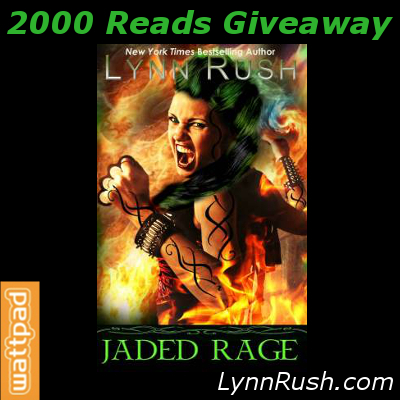 Thanks for all the support you’ve shown JADED RAGE! I have had a BLAST getting to know my way around Wattpad and getting to meet all you awesome authors and readers! I’m super excited to take part in the VampireForums.com Paranormal Author Takeover today! There are TONS of authors participating in this HUGE event. I’m on today at 2pm EST. I hope you stop by. I’ll have a few little giveaways, so spread the word. I thought I’d do something a little different today. Lynn mentioned she had a few extra print proofs, so I figured I’d give one away today! Since the books are about me, I get to do that, right? 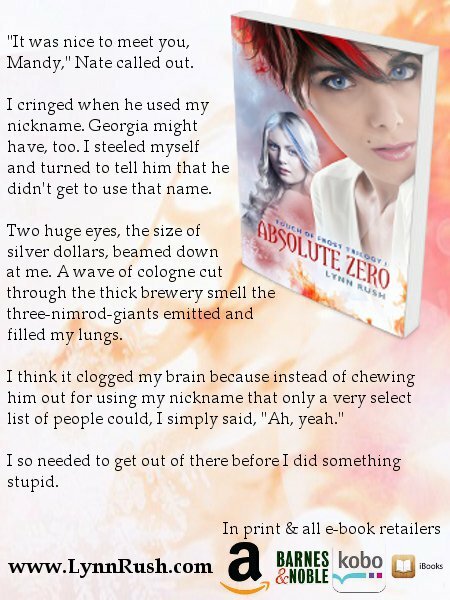 So…I snagged the print proof of ABSOLUTE ZERO! I know for me, it’s a steaming hot cup of coffee and a great big chocolate chip cookie. Have fun, and I’ll see you tomorrow! Hey, everyone, Mandy here. Did you have fun at the Facebook party last night? Sure looked like it! Lynn let me take over the blog the rest of this week, so of course I have to bring up Frozen, considering I can sort of relate to Elsa. But first, you have to answer a question HONESTLY…. How many times have you watched Frozen this holiday season so far? I can totally relate to Elsa and her fear of her power. The ability to freeze someone with a thought or slight touch…very scary. So scary, I, too shunned everyone around me for years. Not literally shutting myself in a room like Elsa, but not too far off. But when I met my BFF, Georgia…my life changed forever–for the better. They helped me find a confidence I didn’t realize I had. It took time, still, and I’m still working on it, but each day I get a little better. Who’s someone who’s impacted your life for the better? I think it’s WAY important to give those people props, so don’t be shy. I love hearing about how people can impact each other FOR THE BETTER! For so long the Coats have been chasing me, ruining lives, so I need a regular dose of hearing about the positive side of people! Thanks for stopping by! Don’t forget to enter the giveaway! CLICK HERE to check that out. Have a FROSTY day, my friends. See you tomorrow.